Most of us simply do not think about what is going down our sink. Whether you have a septic system or municipal sewer, it is a good idea to consider what you are putting down the drain. Substances like grease, bleach and even eggshells can create issues with the city water and will wreak havoc on a septic system. Caring for the water that you flush down your drain can be as important as the water that comes out of your tap. If there is one thing we here at Willey and Co. know it is septic systems. In fact, we started installing and maintaining septic systems more than 40 years ago. Since then we have branched out to a wide range of services, including well drilling, plumbing and even irrigation systems. 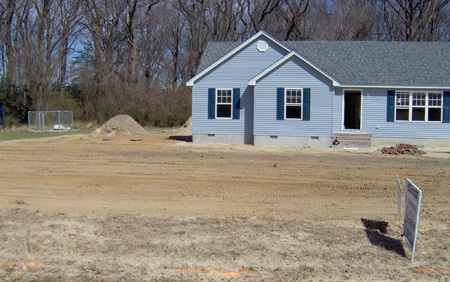 We have never strayed too far from our roots as the finest septic service in Sussex County; offering maintenance, replacement and installation. Now, in our many years of septic service, we have seen just about every issue that can arise in a septic system. And, as we mentioned previously, many of them have a direct relationship with what is put down the drain. Of course, in order to pinpoint the issues that dumping certain things down the drain can cause, it is critical that the septic system is understood. Understanding where the water you are putting down the drain is actually going is key to keeping your system in top shape, and maybe even save some money on maintenance calls. Of course, regular pumping of your septic system is necessary simply due to the way it works and is a normal operating procedure. 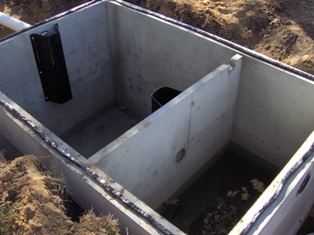 Septic systems are incredibly simple and almost elegant in their design. They are self-contained, very efficient, and take very little (if any) energy to use. They are ideal for remote properties as well as those who are in the middle of town, as you can see, septic systems are versatile and easy to use. Your septic system contains three unique parts once the water/waste leaves the home in the sewer lines: the septic tank, the distribution manifold, and the leach/drain field. Each of these pieces handles the sewage or wastewater at different points of the process. The initial waste that flows into the sewer line is deposited into the septic tank. The septic tank is basically a two-chambered separation tank in which contaminants disperse naturally. Meaning that the solid waste settles in the first chamber and falls to the bottom of the tank. This is known as sludge and is the primary reason for having to have your tank pumped. Wastewater flows into the second chamber and flows into the outlet pipe of the septic tank. This wastewater is not adequately treated at this point but it is no longer as contaminated as it was. The wastewater flows to the distribution manifold. The distribution manifold is the gateway to the leach field and is designed to channel water down the pipes in the leach field. The leach field is truly the marvel of the septic system. The pipes of the leach field are drilled at intervals to allow for equal distribution of wastewater into the drain materials. These pipes are generally at an angle in order to rely on gravity to complete the process. The pipes themselves are buried in crushed rock or some other material that allows for slow yet throughout distribution of the wastewater. 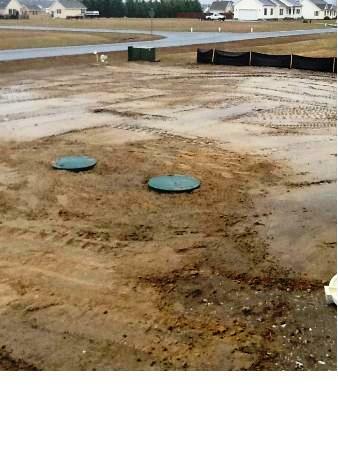 Once the water leaves the leach field it is filtered naturally and returned to the groundwater. The key to the system working correctly is bacteria that is present in the tank and leach field. This bacteria is critical to the process and if damaged or killed, could create serious issues for the entire system. Next time we will go into greater depth about the importance of the bacteria and how to keep them happy. 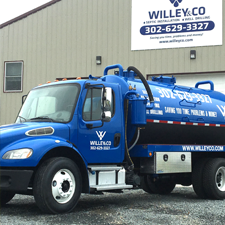 If you suspect an issue with your septic system, or it has been awhile since you have had it pumped, it is probably a good idea to give us a call here a Willey & Co. for prompt service from a company that has been around the block a time or two. We can also perform a check up on your system in the event that you are having intermittent issues. Please do not hesitate to give us a call for all of your septic tank needs!